In terms of design, it's a near perfect portable food. These days they are often wrapped in plastic, paper or encased in a bento box. Yet Hiro's grandmother uses bamboo leaves to wrap hers. I need to learn this skill from her. O-nigiri is something so closely attached to our ordinary life. It's our son's favourite food so Hiro makes them with a lot of love and care. Homemade onigiri are made in the palms of the hand. 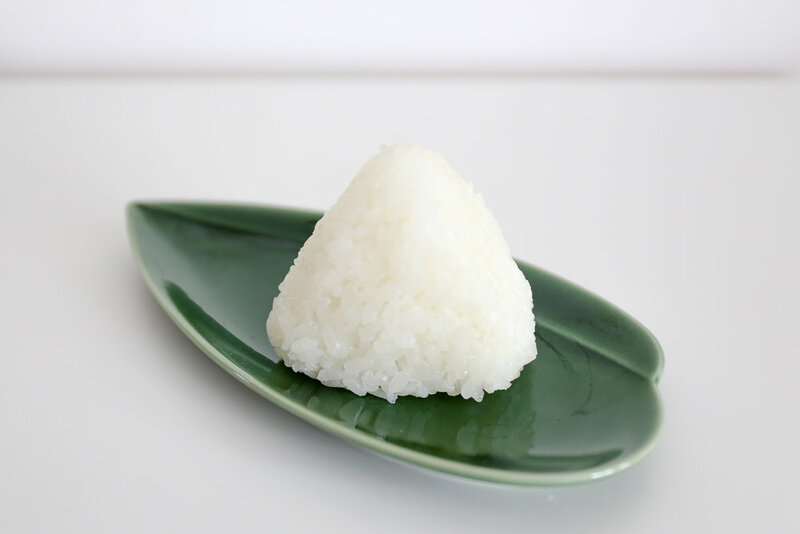 Patting and forming the rice into a triangular shape they are a true Japanese soul food. The original Cereal Magazine interview with Kenya Hara.